To misquote Douglas Adams, nonfiction is big. Very big. As a genre, nonfiction covers the entire Dewey decimal classification scheme. Rather vast. Nonfiction as a genre for the purpose of readers advisory (RA), has been about since 2006 where Alpert in a guest column for the Reference & User Services Quarterly (RUSQ) mentions “a shift towards interest in narrative nonfiction” (p. 25). This is also reflected by the publication of The Readers Advisory Guide to Nonfiction by Neil Wyatt in 2007. Nonfiction as a readers advisory genre did not make the Genreflecting book until the 7th edition in 2013 with a chapter by Sarah Statz Cords. Dewey is one way of understanding nonfiction, as Statz Cords points out nonfiction is best described as what it is not – it is not fiction (2013, p. 425). It is created from real events, experiences and characters across any and every range of topics. In most public libraries nonfiction is categorized by a classification system, such as Dewey. Even amid the readers advisory literature and book review sites, there are differences of opinion and categories. Nonfiction is perhaps better viewed as having many guidelines rather than strict rules. A good way to navigate nonfiction especially within a readers advisory capacity, excluding subject matter can be categorisation into two families of titles. Task oriented and non-task oriented. Task oriented nonfiction is what is generally conjured when nonfiction is mentioned. Excluding memoir, which highlights how exceptions are the rule for nonfiction. Examples of task oriented nonfiction are cookbooks, DIY manuals or ‘how-to’ (garden, care for animals) guides and manuals. In this genre guide, these types of books will not be discussed. Instead, for reader advisory purposes, the focus will be on non-task oriented nonfiction, or as Alpert calls it, narrative nonfiction. One thing all sources agree upon is narrative nonfiction lies on a very large continuum, from the “very factual to the very narrative” (Statz Cords, 2013, p. 426). Narrative is another word for storytelling. With nonfiction this translates as to how much the author of the title has set out to create a story within the sharing of the information be it events, dates, experiences, lives or other subject matter. When reading nonfiction as a term, remember these are titles that sit somewhere on the non-task oriented narrative continuum. A good definition for narrative nonfiction is how “narrative nonfiction uses literary devices of fiction writing to take nonfiction beyond the summarization of a series of facts and into the realm of storytelling” (Alpert, 2006, p. 26). Both aspects cannot be discounted. The nonfiction component is as important for the reader as the narrative element. This does not discount the option of suggestions for example to a true crime reader the idea of crime thrillers, however it may not be pursued due to the fictional element. No matter how much narrative is contained, with nonfiction facts are front and centre. It is not a facts used creatively to extrapolate and weave a story. It is the fact that is woven in a story-like way. Like its cousins the fiction genres, nonfiction has appeal elements. A strong element that cannot be discounted for nonfiction is subject. In fiction subject is strong but can be swayed by other elements that appeal to the reader. In nonfiction the subject may be the driving motivator and the reader will forgive any other element in their pursuit of learning about this subject. 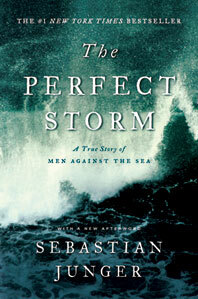 The narrative continuum results in titles that can read like fiction such as The Perfect Storm by Sebasitan Junger to a title such as The Elegant Universe: Superstrings, Hidden Dimensions, and the Quest for the Ultimate Theory is a book by Brian Greene which works to explain the concepts and theory of string theory. The level of narrative a reader is after assists, along with subject, to determine the type of titles to recommend. The concept of narrative nonfiction, is relatively new (Statz Cords, 2013, p. 429) and its ongoing publishing successes has led to the explosion of titles available across many subject areas in nonfiction from travel, science, history and true crime. The following appeal elements can all apply to nonfiction, however, the ones marked (*) are the elements that can make or break the reader’s acceptance of the title offered. Type*- is the reader after facts, explanation, theory, humourous, investigation, memoir, essay. The type is an element that can cross categories of subject. An example of diverse type is biography that can be historical, true crime, science or true adventure. – Detail* is important and a strong factor in the appeal of learning about the topic. In contrary terms, the level of detail is possibly the weakest of the ‘*’ elements, however for many readers, this can also be a deal breaker with not enough present. Usually the more they want to learn/experience, the greater the detail required. – Learning/Experience * this element is closely tied to subject and one of the other primary elements which makes nonfiction more appealing over fiction for many readers. The ability to know or understand something better is, along with subject and type one of the driving elements of reader choices for nonfiction.